My family has a good sized amount of DVD’s, CD’s, VHS, and cassette tapes that, unless they are condensed once in awhile, they would invade our entire household. 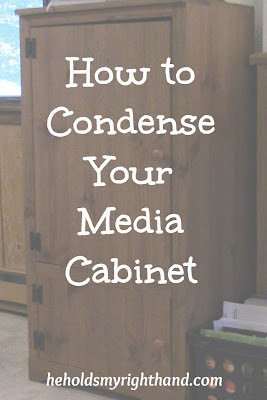 If you understand what I’m saying, but need some pointers on how to clean out your media cabinet, and would also like some ideas on what to do with the media you no longer want, then this article is for you! How long has it been since we last watched (or listened to) this? Will we ever watch it again? Does it have sentimental value to any of us? Would one of us miss it if it wasn’t here? Give them away to family or friends. My parents do this quite often. Instead of renting a movie from a video store, they like to find DVD’s sold inexpensively at garage sales, resale shops, and discount stores. After watching the movie, they go through the questions above and either keep them, or pass them along. Sell them. This is a good way to earn a little extra cash. If you have the space to store your unwanted items for a garage sale, then that is a good option. If you would rather not wait for garage sale season, or you don’t have the space to store them, take them to a local consignment shop where you can earn a portion of the sales. Another option is to sell them online. There are various places you can sell used media, as long as it is in good, working condition (such as E-bay, Half.com, and Amazon.com). List them on an online “swap” board. There are a few different swap groups to choose from. Two that I have personally used are swapadvd.com, and swapacd.com, which are both free to join. I have passed along many DVD’s and CD’s through these sites, while earning points to choose items from someone else’s list. It can be a fun, and rewarding experience. 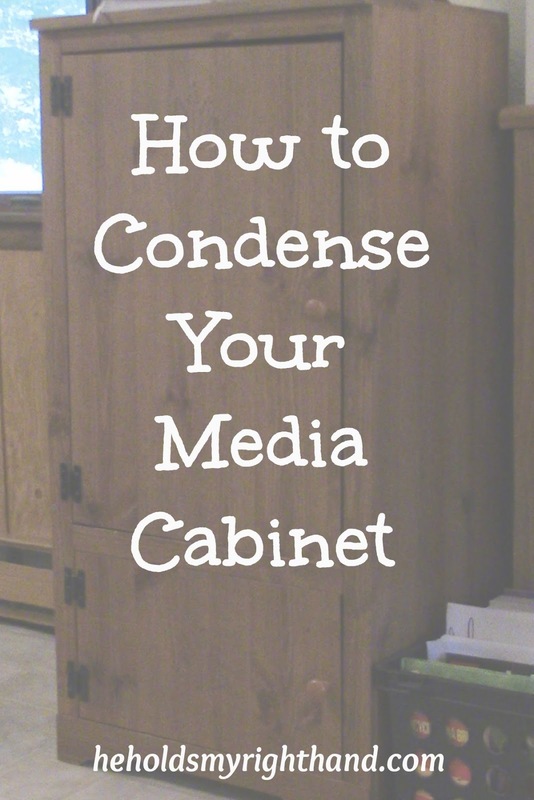 The last thing to remember is, as new media comes in (via sales, giveaways, and gifts from others), remain consistent with going through them at least every 6 months to decide which ones should find a new home. Well advised! We all need to 'slim-down' here. Great ideas. Winter is around the corner and this is great for "rainy"days.